City Dog Expert founder Kimberly Marie Freeman has been a leading dog industry expert and professional dog trainer for 14 years both in the UK and USA. 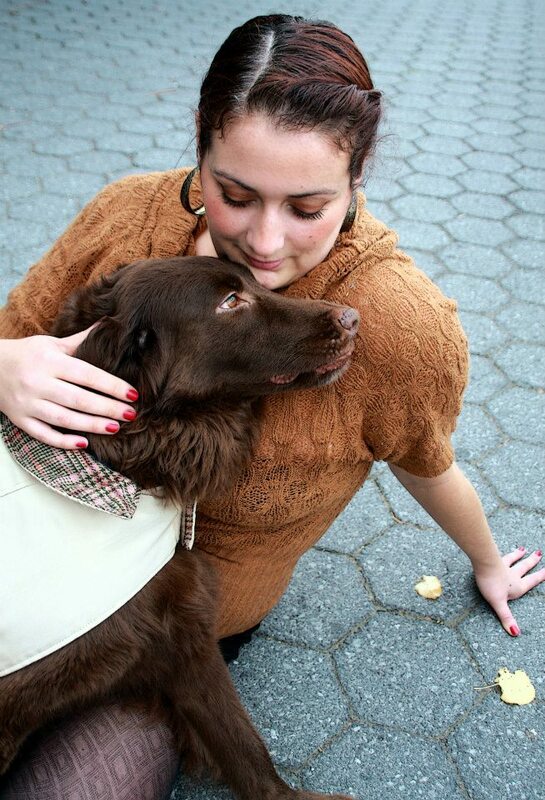 She launched City Dog Expert in 2012 after realizing the tremendous difficulties dog owners in NYC and other big cities have in finding products, events and things to do that are specifically designed for a dog in the city. 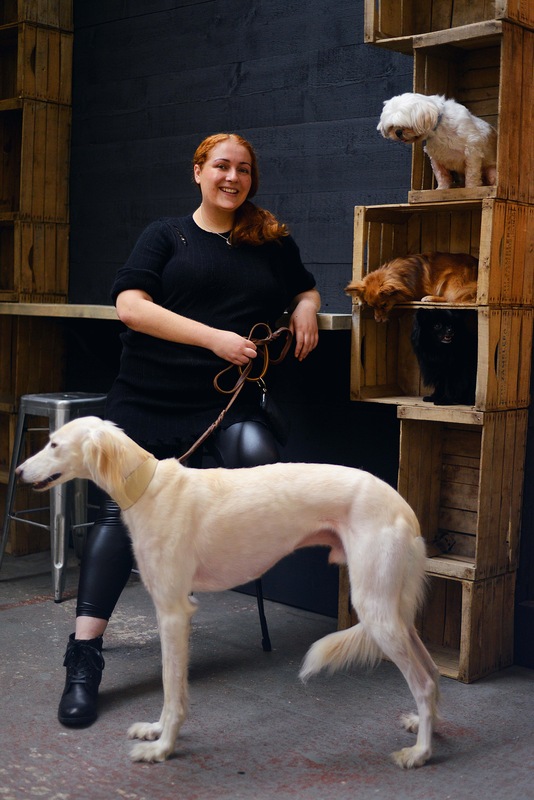 Kimberly has served as the director of City Sit Stay, where she provides private and group training lessons for all ages of dog, head trainer at DOTS London, rescue coordinator at Brooklyn Animal Action and fundraising advisor for many NYC based animal charities. She regularly is a key note speaker as a dog lifestyle and behavioral expert. Kimberly also works as a professional actress and voice over artist both on stage and screen. The first dog I had… was Sam the lab mix. I was a young child and my parents brought home this wild, untrained adolescent dog that they had rescued from the pound. I was absolutely petrified of Sam and wouldn’t go outside with him for the entire summer. Once he calmed down (and had some training), he became a brilliant companion. Within months of getting Sam, my parents rescued Meg (another lab mix) who helped me experience the true bond between dog and owner. Even though Meg was technically my sisters dog, I would often take her for walks and just sit with her for hours stroking her fur. She taught me what loyalty meant. My most memorable dog decision: Probably rescuing Houdini from the local shelter. I thought I had no space for a dog in my Chelsea studio when I rescued this little muffin and absolutely overcompensated by walking him for 4+ hours a day and a full day of daycare!! My dog walking style: I flitter between urban casual (walking at a nice comfortable pace with the babes focused and walking to heel) and Prima Donna pup (where the babes and myself are all dressed up and ready for the catwalk)!! Great speaking with you on Wednesday night. I’d like to send you pictures, nes report links, and the PDF of the Virginia legislation but I cannot find your e-mail address. · provides early-warning for Lyme disease…………..results in 3 business days. · is a convenient and simple way to remove, capture, and submit a tick for testing. The medical Industry is using highly inaccurate antibody testing on pets and people for Lyme Disease. Actually, the State of Virginia just passed a bill mandating that doctor’s disclose the inaccuracy of their test results! Everyone should have Lyme-Aid Kit handy, just like band-aids, in case of an encounter with ticks; it can be kept in a work case, medicine cabinet, in a backpack, fishing and hunting gear. Since we test the tick, LYME-AID kit can be used for people or pets. If you ever need us for a presentation, just let me know. We are trying to help protect as many people as we can from Lyme Disease. Please see the news reports below. Just click on the links. I have attached the ESU press release along with a picture of LYME-AID. Feel free to use this information as you wish. Please call me with any questions. East Stroudsburg University/Garrett Hewitt Int. jorloski28@hotmail.com is sharing this video using RealDownloader®. To download Internet videos yourself, get your own copy of the FREE Downloader here. Your email address was only used to deliver this message and for no other purpose. © 2012 RealNetworks, Inc. RealDownloader is a registered trademark of RealNetworks, Inc.